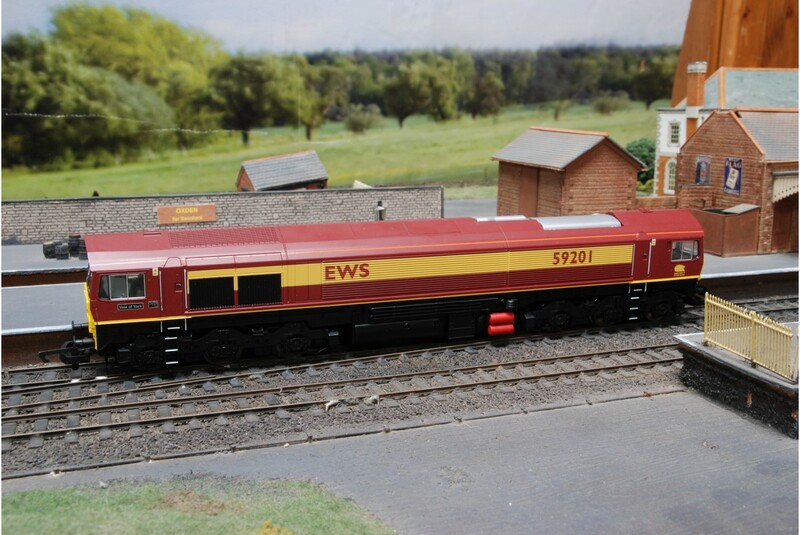 This Class 59 EWS OO Gauge locomotive, produced by Hornby with model number R2520 is a DCC Fitted (with a Bachmann Chip) detailed model railway train based on the class 59 engine. 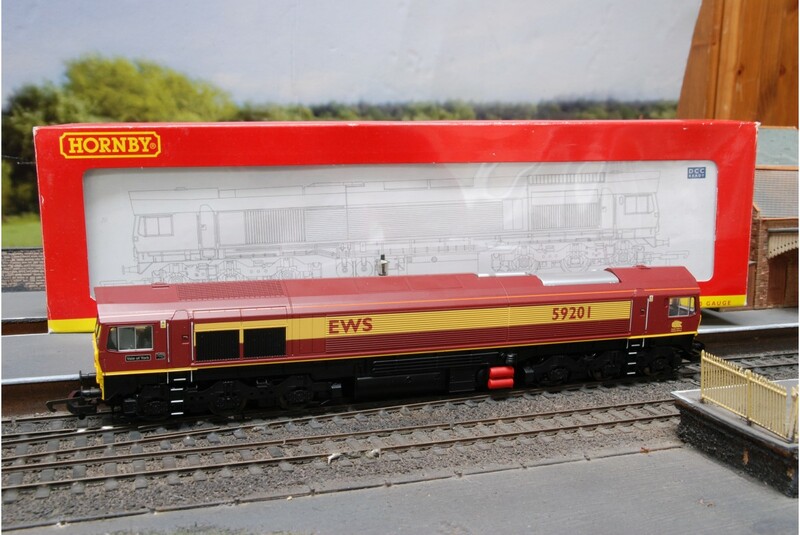 Upholding the EWS colours and brand, this EWS class 59 is numbered 59201 and named Vale Of York, which comes from the original National Power fleet before EWS take over. 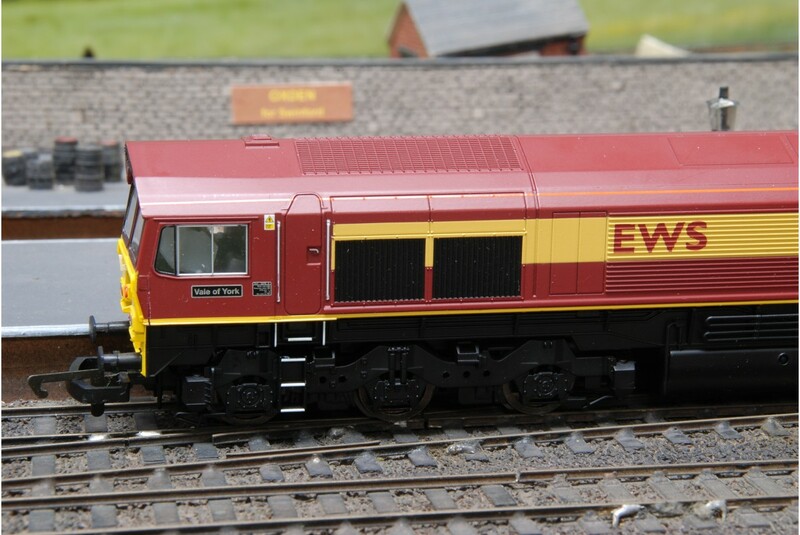 Hornby produced the R2520 EWS class 59 as DCC ready for digital control systems and this item is fitted with a DCC chip. 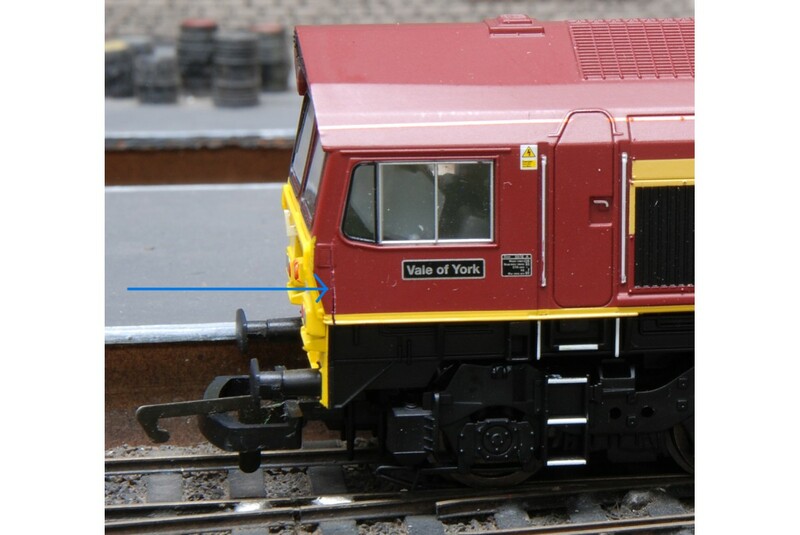 This Vale of York runs well, however please note there is a crack in the body at the front of the loco, please see second photograph.